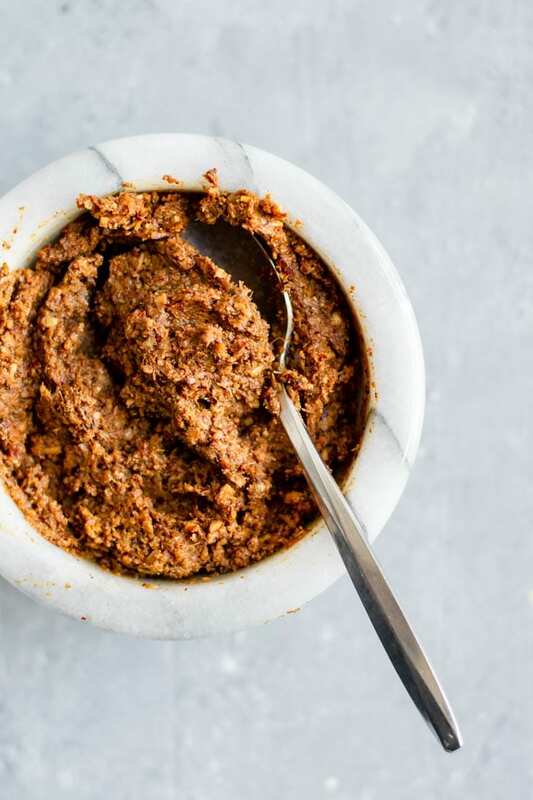 Homemade massaman curry paste is easy to make. 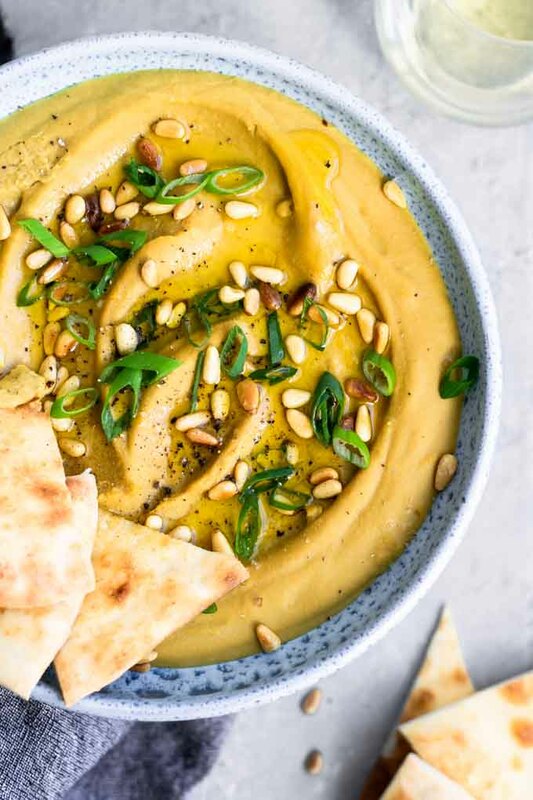 It’s mildly spicy, a bit peanutty, and full of Indian and Thai flavors. Use it to make the most flavorful and delicious massaman curry in your own kitchen! 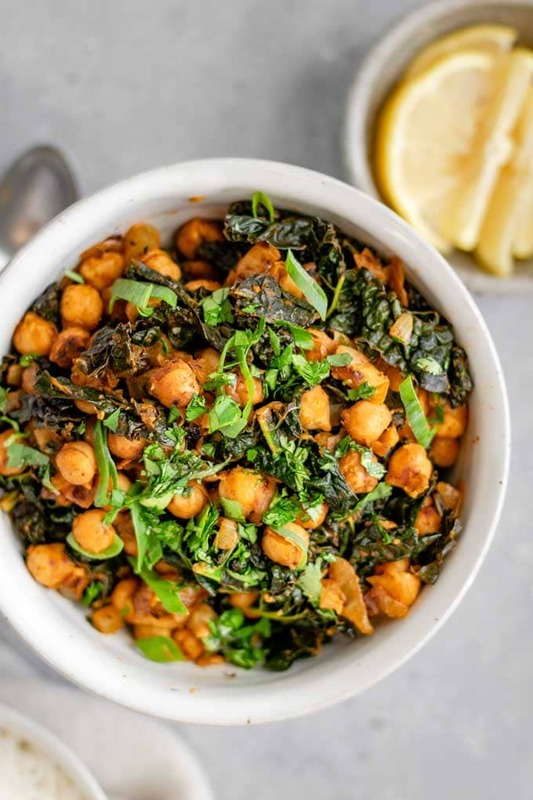 Indian spiced chickpeas and greens is a quick and easy dry curry. 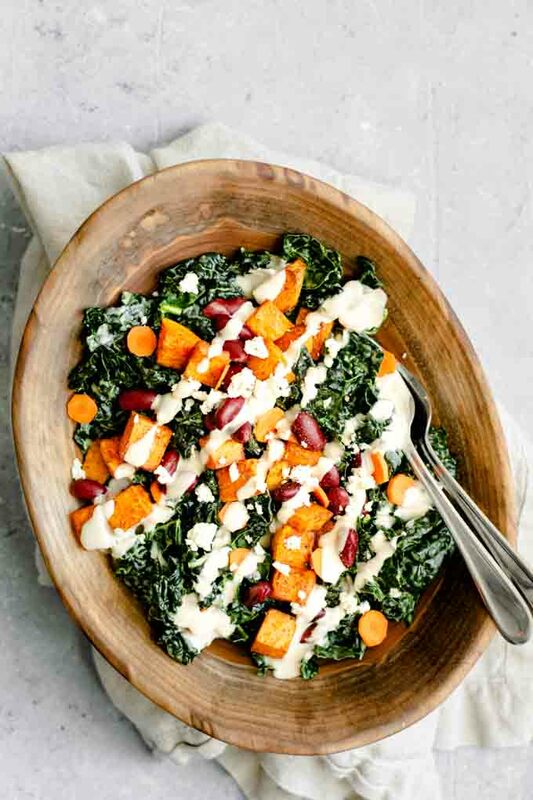 Delicious with kale or whatever greens you have on hand! 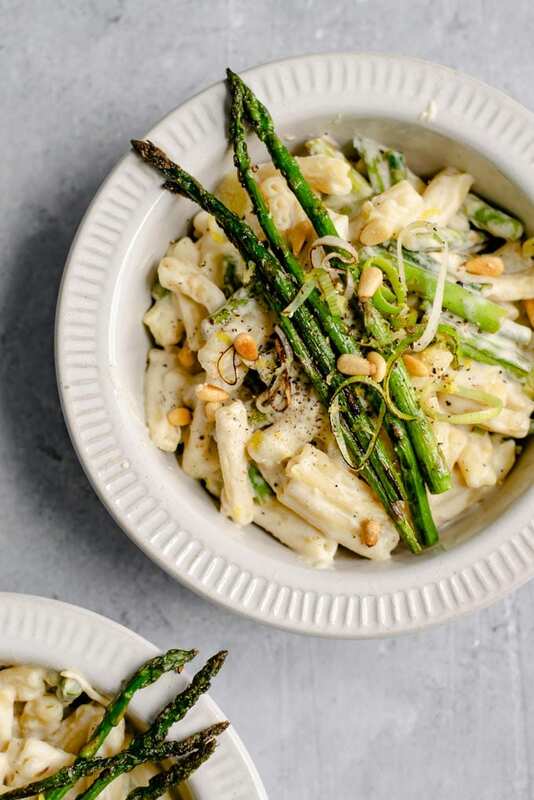 Pantry & weeknight friendly. I make a lot of food that I never photograph or share with you guys. It’s not because it’s not delicious, but because I’m too hungry (or occasionally too lazy) to plan or take photos or measure ingredients and generally be meticulous about the process. 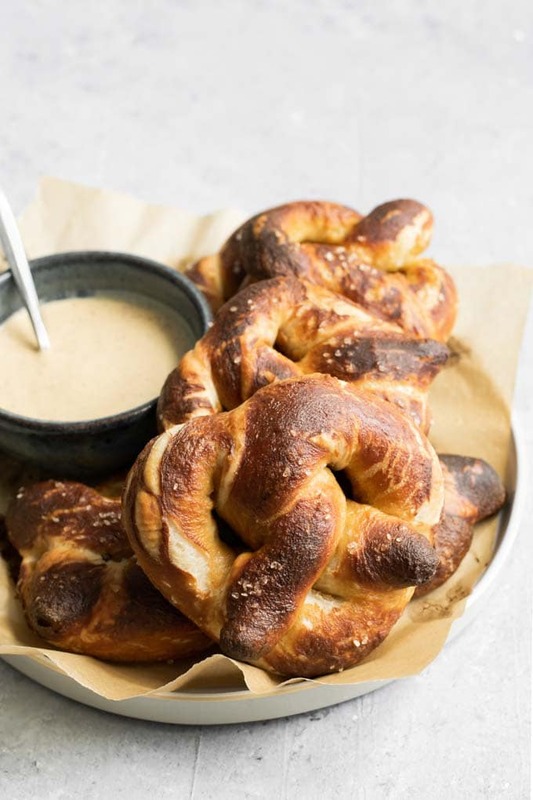 These homemade soft pretzels are easy to make and can be enjoyed as a delicious snack. The pretzels are pillowy soft and extra delicious when dunked into an zippy mustard beer dip. I’m not sure if you knew you needed to learn how to make soft pretzels or not, but, trust me you do. Soft pretzels are awesome–from the grainy salt that hits your tongue in bursts to the smooth texture of the crust. The chewy baking soda infused skin and soft doughy interior…. 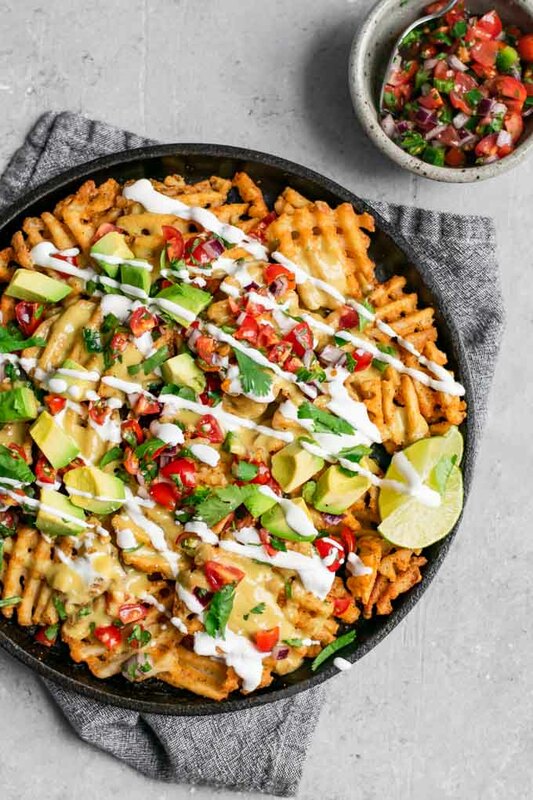 These loaded waffle fry nachos are smothered in a homemade vegan queso and topped with fresh pico de gallo, sour cream, and avocado. 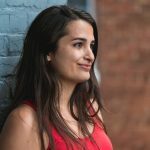 It’s a delicious change of pace from the traditional tortilla chip nachos, and they are super easy to make! There comes a time in every person’s life when you just gotta have nachos for dinner (or as an appetizer/snack). And while loaded tortilla chips will always be there for you, at times a change of pace is nice. For those times, we have the humble waffle fry*. These vegan chickpea meatballs in roasted red pepper sauce make a fantastic meal. 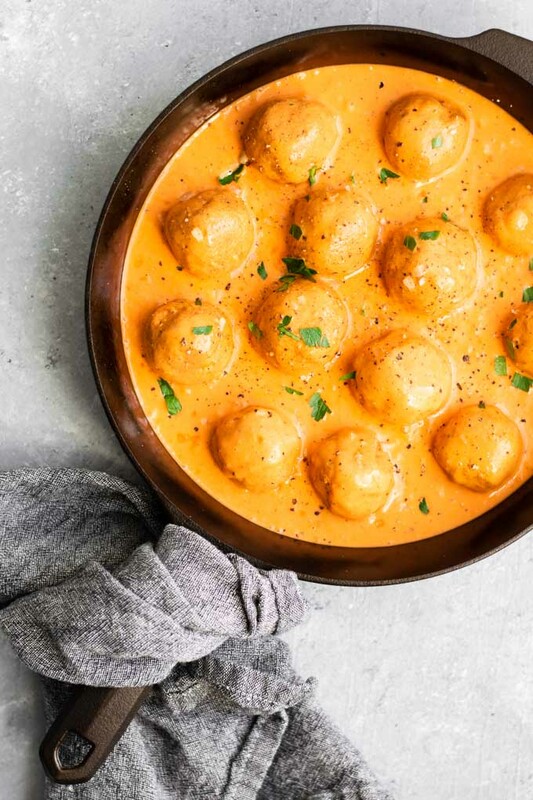 The savory vegan meatballs are cooked in a creamy red pepper sauce for a recipe that is easy to make, and even more delicious to eat! The recipe is easily made gluten free. 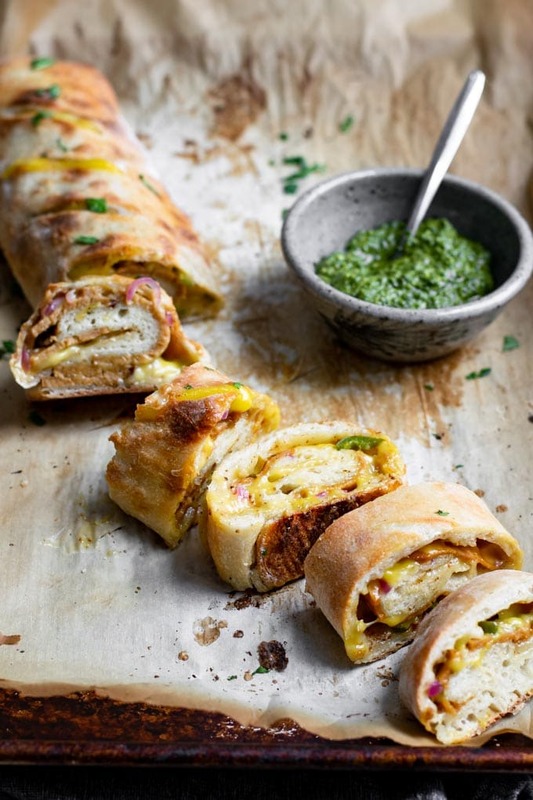 This classic stromboli is made vegan with spicy mustard, vegan cheese & deli meat, red onion and jalapeños wrapped in pizza dough and baked until hot and bubbly. 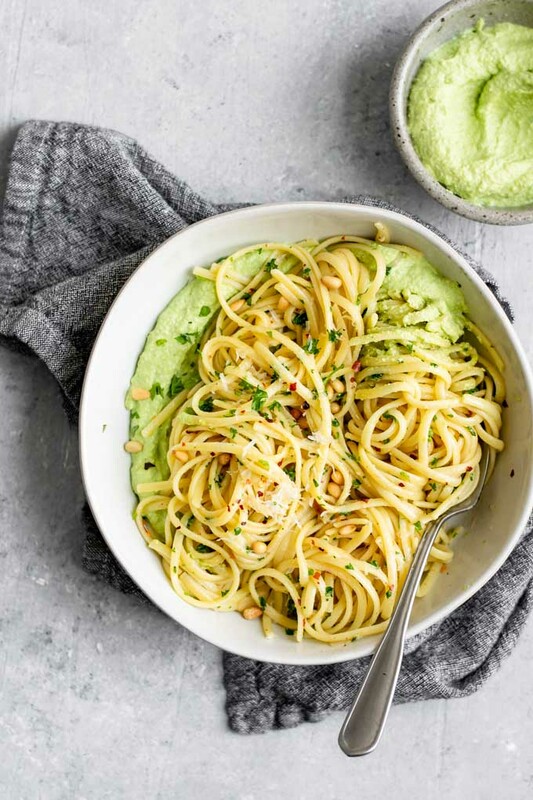 It’s easy to make and even more delicious to eat! Stromboli, a word as fun to say as the dish is to eat! For the uninitiated, stromboli is a staple of Italian-American cuisine. It’s essentially pizza dough rolled around sandwich ingredients and baked to hot, puffy perfection….